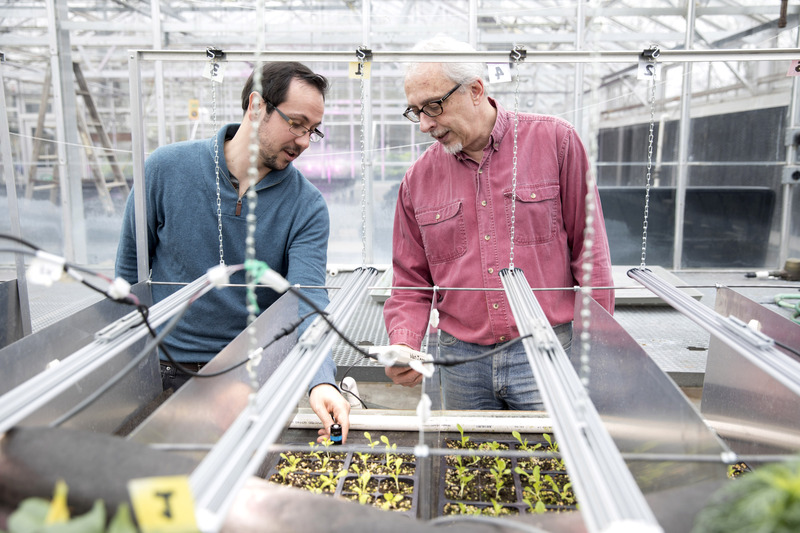 Marc van Iersel (right) measures light output from a plant growth lamp in one of the UGA greenhouses. Greenhouses, plant factories and indoor farms could see lighting costs reduced by 50 percent. For more information about the project, visit http://www.facebook.com/HortLAMP/.